The Future Studies and Forecasting Chair at Singularity University. Paul Saffo is a Silicon Valley-based Forecaster with over three decades of experience helping corporate and governmental clients understand and respond to the dynamics of large-scale, long-term change. In this talk, he will discuss the major technology trends, with a focus on what to expect in the future, where the best opportunities can be found, and how these components affect both public and private sector partners. The digitally-fueled “new economy” anticipated in the late 1990s is arriving late and in utterly unexpected ways. Social media, maker culture, sensors and even the 2008 market crash are merely local phenomena in a much larger shift. A dying consumer economy built on consumption is being displaced by a new creator economy built on mass engagement. This moment is eerily similar to the mid-1950s, when an infant consumer economy began to emerge – like then, events today will shape the economic landscape for decades to come. The result will be maddening uncertainty for incumbents, but for innovators who keep their head––and keep their head up––this shift presents vast opportunities. Instinct tells us to pull in and focus on the present when crises hit and uncertainty overwhelms us. But this instinct is as wrong as the instinct that tells us to turn against a skid on an icy road. Like driving, forecasting can be learned, and one need not be a rocket scientist in order to see clearly into the future. In fact a few simple heuristics can go a long way towards making sense of what lies ahead. Events don't so much arrive or unfold, as untangle. This is especially true when it comes to anticipating technological innovations and their impacts because technologies rarely travel in a straight line. Instead, technologies wander, loop back on themselves and, above all, intersect with other technologies, triggering the cross-impacts that yield the innovations that continue to arrive and change our world. Why does Silicon Valley produce one revolution after another? Conventional wisdom credits big visions, great management, and a history of success. Conventional wisdom is wrong––Silicon Valley’s unique edge is built on the rubble of failure, poor management, and a crucial third ingredient that leads us to innovate relentlessly against the odds. That crucial element is inextricably tied to the building we are sitting in. The present unfolds as the intersection of multiple fast and slow processes. The Pace Layer model offers a means to identify and understand deep trends in order to evaluate challenges, identify opportunities, avoid surprise and develop strategy. This session will review how pace layers work and demonstrate its application in an interactive exercise. May you live in exponential times. This is the 21st century version of the oft-told Chinese proverb about the blessing (and curse) of living in interesting times. The exponential advance of digital technology continues to create vast opportunities and even vaster disruption, but larger exponential surprises lurk just over the horizon. Combined, these forces are poised to reshape the metropolitan landscape as profoundly as the automobile, television and commercial aviation changed the face of our cities half a century ago. The result will be maddening uncertainty, but for innovators who keep their head – and keep their head up—this shift presents vast opportunities. The present unfolds out of the interaction of multiple fast and slow processes. Seemingly sudden change actually is driven by deep, slow-moving forces passing unnoticed through the zeitgeist. An understanding of the structure of this interaction offers a means to identify and understand deep trends inorder to evaluate challenges, identify opportunities, avoid surprise and develop strategy.It also provides a context for understanding one’s personal place in this exponential moment –and one’s responsibility to the future. 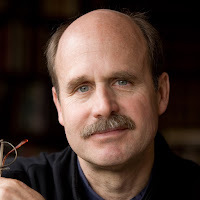 Paul Saffo is a Silicon Valley-based forecaster with over three decades experience helping corporate and governmental clients understand and respond to the dynamics of large-scale, long-term change. He chairs the Future Studies track at Singularity University and teaches at Stanford, where he is a Consulting Associate Professor in the School of Engineering. Paul is also a non-resident Senior Fellow at the Atlantic Council, a Fellow of the Royal Swedish Academy of Engineering Sciences, and a Distinguished Visiting Scholar in the Stanford Media-X network. Paul sits on the boards of the Long Now Foundation, and the Bay Area Council Economic Institute. Previously, Paul was the founding chair of the Samsung Science Board, a member of the AT&T Technical Advisory Board and a member of the U.S. Air Force Science Advisory Board. He has been an advisor and forum Fellow to the World Economic Forum, as well as numerous investment entities and technology startups, and was the co-founder of a big data analytics company providing services to Wall St. institutions. His essays have appeared in a wide range of publications including The Harvard Business Review, Foreign Policy, Fortune, Wired, The Los Angeles Times, Newsweek, The New York Times and the Washington Post. Paul holds degrees from Harvard College, Cambridge University, and Stanford University. Paul Saffo is a Silicon Valley-based Forecaster with over three decades of experience helping corporate and governmental clients understand and respond to the dynamics of large-scale, long-term change. In this talk, he will discuss the most current economic trends, with a focus on what to expect in the future, where the best opportunities can be found, and how these components affect both public and private sector partners.